It’s subtle… can you see it? It’s one of my favourites! 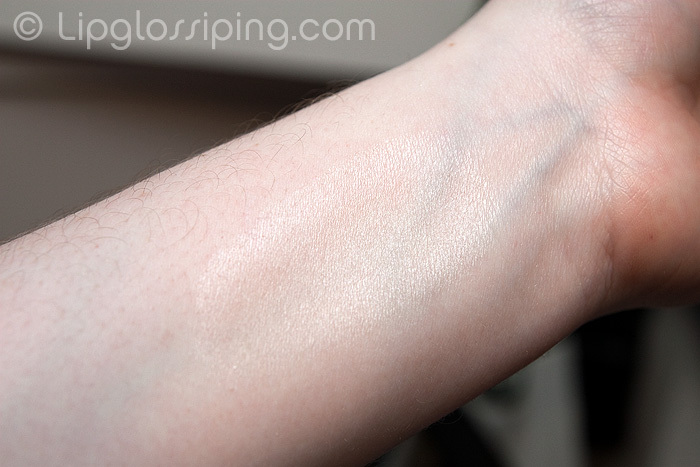 I think I’d probably prefer to call this a luminizer than a highlighter, because with a fairly light hand this is perfect for wearing allover the face. Yes, really. 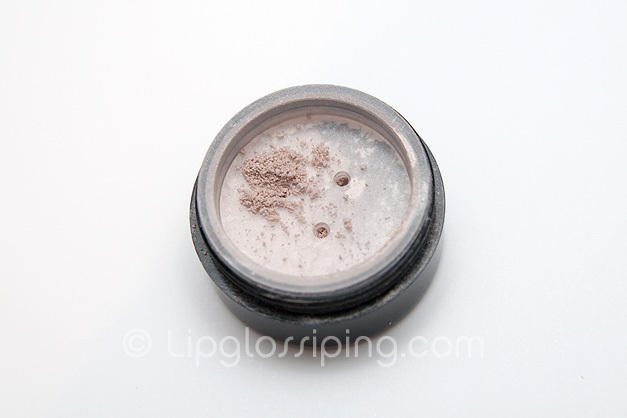 Quite an unappetising shade in the pot, Cashmere Stockings is a mineral powder that I like to use as a finisher on days when I’m not wearing much colour on my face. It lifts my complexion without making it sparkly or even shimmery. To be fair to the product, it deserves a post of it’s own… not just lumped in under the ‘highlight’ category… it’s a little marvel. Having said that, let’s not get carried away… Cashmere Stockings won’t do anything to cover blemishes, or even out your skintone (unless you’re blessed with already incredible skin) but for me… it softens my pores and adds a satin sheen. I guess that’s it… maybe it’s no miracle afterall. Just a good dose of silica and mica in a perfectly mixed ratio. But it works beautifully for me over a good foundation base. The physically small container it comes in is a pain in the arse… no chance of fitting a decent sized powder brush or kabuki in there, so I have to tap the product into another lid before picking it up on my brush. A minor irritation, but an annoyance nonetheless. I own a 10g pot and when/if I ever get to the bottom of it, will happily repurchase a 20g version ($18). Anyone up to and including a NW/NC 25 would fare quite happily with level one as a shade choice as it’s fairly (but not completely) translucent. Cashmere Stockings is available to buy online from Heatheresque (formally The She Space). That looks really pretty- the only thing that puts me off is the length of time I had to wait for my last (and only) order from that website. I do keep revisiting the site though and having a peek, as everything’s so purrrdy!